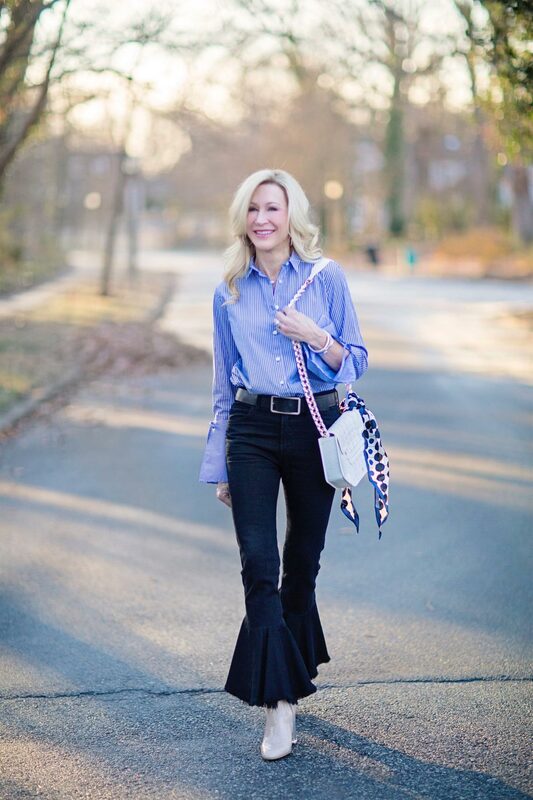 Full-time blogger Suzanne Smith (55) lives in North Carolina and documents her style on her blog, Crazy Blonde Life. She is a jeans gal with on-trend polished casual style who likes to wear softer colours in Spring/Summer, while adding darker ones in the colder months. Suzanne sports high heels regularly, has an enviable booties collection, and believes in the staying power of versatile classics. Suzanne wore this casual outfit for a day of walking around in downtown Nashville. She’s paired full-length olive skinny jeans with a relaxed-fit linen blouse. 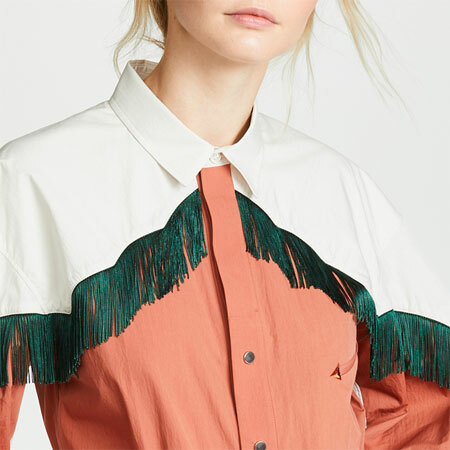 The breezy boho blouse with its tassels and bishop sleeves creates visual interest. Combining the top with skinny jeans tempers the volume of the sleeves. Caramel-coloured slides with a low heel look wonderful with the olive, and echo the colours of the classic satchel. Lots of arm candy and a simple, dainty necklace that works well with the V-neckline of the blouse complete the look. Pair sunny yellow with mid-wash denim and different shades of grey and you’ve got yourself a fabulous colour combo you don’t see all that often. 5’4″ Suzanne semi-tucked a ruffled top into high-waisted kick crop flares. Tucking the top lengthens the leg line, and the charcoal maxi cardigan creates extra vertical integrity. 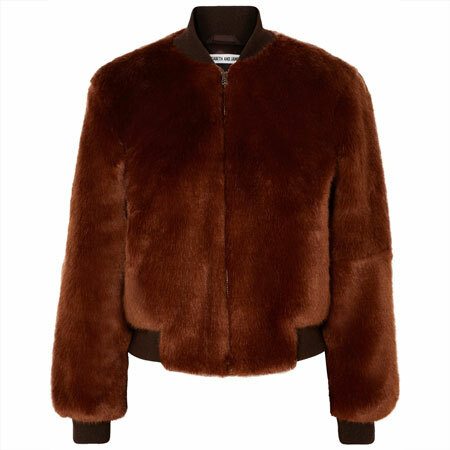 The streamlined fit and texture-rich material make it a great statement piece. Our blogger’s block-heeled booties in an eye-catching gunmetal grey and her silver crossbody bag bring subtle sheen to the outfit. The unique necklace with oversized agate pendant and long earrings amp up the visual interest and polish. White, blue and grey is another colour combination that feels particularly fresh. Our bloggers is wearing grey cropped skinny jeans with an untucked blouse. The rough-around-the-edges vibe of the distressed jeans is in clever contrast with the ladylike top embellished with large dots. Fun juxtaposition! The jeans are the perfect length to showcase Suzanne’s crisp pointy-toe stiletto booties. Her double-breasted wool coat adds Modern Classic polish, while the sky blue colour makes it a great choice to wear on cold Spring days. The blue also looks wonderful with Suzanne’s blonde locks. An oversized cocktail ring and interesting shoulder bag with architectural lines are the fab finishing touches. Suzanne wasn’t exaggerating about her love for booties. Her closet is filled with interesting and unique pairs like these greyish taupe babies with chunky lucite heels. They echo the colour of her sweater brilliantly! And that sweater is a statement piece if I ever saw one! The oversized style, chunky knit, big collar and different stitches make it a cosy piece that will stand out everywhere. Sporting it with slim-fit jeans lets the sweater do all the talking, while the white denim adds crispness to the look. The sleek shape of our blogger’s on-trend metal ring bag adds structure. Cocktail rings, earrings, pink lippie and oversized sunnies finish off the look. 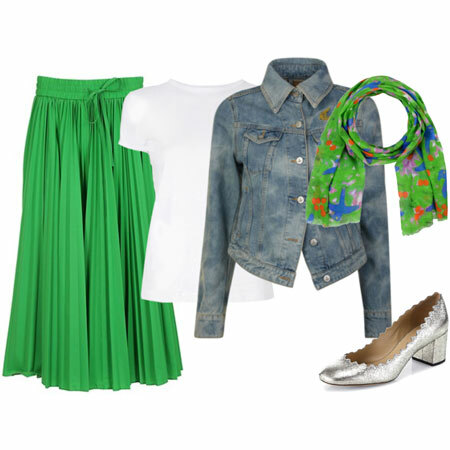 Using interesting footwear and accessories is an easy way to make a simple tee and jeans outfit look fun and special. Start off with jeans like this pair with undone hems and bleached cuffs, and you automatically get extra visual interest. Suzanne is semi-tucking a grey long-sleeved tee with lovely drape. Scrunching the sleeves showcases the piles of bracelets on both arms. She then adds extra bling with a multi-strand necklace in silver and white. Her silver metallic slides with gold hardware detail and fold-over fringe add chic pizzazz and lots of polish. Suzanne’s go-to pink lipstick and matching nail polish complete this polished casual look. A Modern Classic outfit infallibly looks current when you add in an on-trend piece like Suzanne’s black jeans with flounced ruffle cuffs. Tucking the blue and white striped shirt with bell sleeves and adding a belt creates structure. So does the tailored fit of the jeans above the ruffled cuffs. Our blogger’s fab geometrical-shaped bag and lucite-heeled booties both make a second appearance. The polka dot scarf tied to the bag is a fun way to do a spot of pattern mixing. Add silver bangles, a short necklace, pink lipstick and Suzanne is ready to go. What do you think of Suzanne’s polished, on-trend casual style? Let us know in the comments, and be sure to check out the rest of her wonderful outfits on her blog. Ooh I love Suzanne’s style. Funky but still very feminine :). 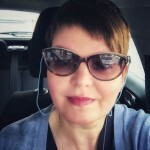 Of all the bloggers you’ve featured since I joined ylf this lady resonates most with me. I like her polished looks, and use of color and pattern. I do think the examples shown are pretty heavy on statement and trend pieces except # 1. Thanks Inge, I love her looks! She is a master of polished casual for sure, although I agree with unfrumped that she incorporates a lot of trends too, especially those flouncy-hemmed jeans. Very 1960s. Will definitely be back to look more. Her skin and hair color look a lot like mine and I already see lots of color combinations that would work for me. Can’t quite figure out how she wears booties so much given North Carolina’s long hot/humid summers. I adore so many of Suzanne’s style elements. Especially, the frequent combining of crops and booties and plenty of distressed jeans. Thank you Inge. I like these looks, especially the camel jumper and the greeny / grey jeans. A great selection of bags. Fun casual style, and I love that beautiful blue coat and want to steal that silver crossbody bag! It’s interesting that she talks about not being too trend-driven, since all of the denim in these outfits is quite trendy. But she does it really well! Fun and pretty outfits. My absolute favourites on Suzanne are the white, grey, and blue (she looks amazing in that coat and the white booties!) and the next one with camel sweater — again, the colours are divine with her personal colouring. Waves from another bootie lover! I love the flounced jeans, too, and am curious what they are and how she found a pair that work for someone 5’4″. 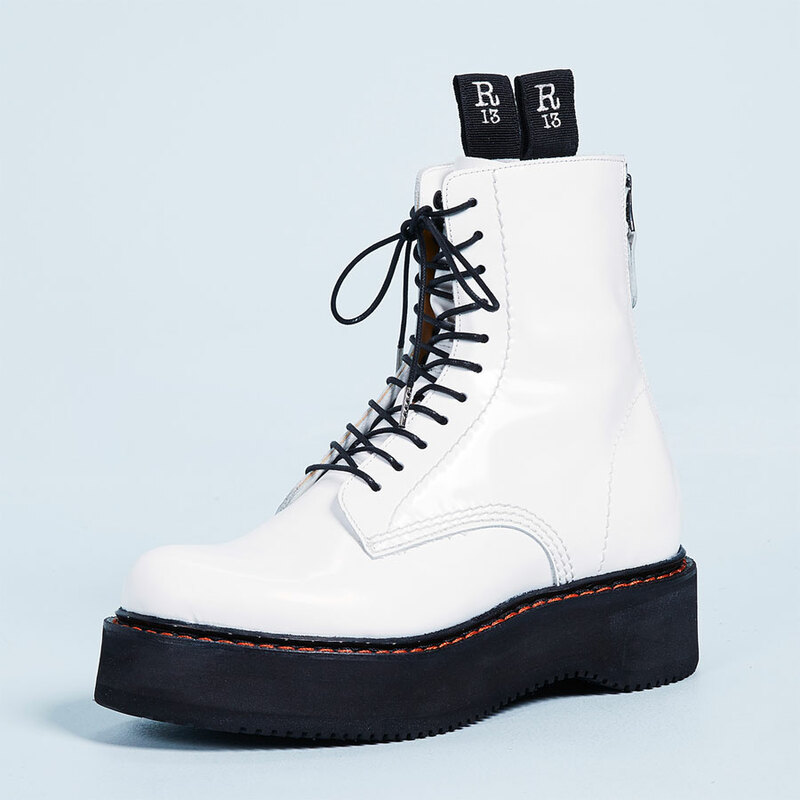 I have seen them in stores but figured they’d be cut for someone taller and would need an inseam alteration. Wow – what an enviable wardrobe! Love it all. I’ll be checking out her blog asap. Wow, love her style! I am off to check out her blog! I like Suzanne’s look best in the 4th photo down with the big chunky pullover. Her hair color is so pretty and natural-looking with that taupey tan color. Inge, thank you for your wonderful explanations of the how and why these looks work so well! Your posts are a treat. I love all of Suzanne’s looks and see her as very inspiring because this is how I want to dress on the weekends. The outfit with the blue coat is definitely one that I will attempt to copy. Her outfits serve as a primer on how to wear the myriad of denim styles that are all on trend at the moment. Thanks, Inge! Suzanne has KILLER style, and wears trendy jeans beautifully. She has gorgeous thick long hair too. WOW. I’m going with the white jeans and light blue coat outfits as my faves. The palettes are sublime with Suzanne’s complexion. I love that she doesn’t wear a lot of black too. Soft, strong, dressy and pretty. Which is your favourite outfit, Inge? Love her outfits – but I agree that they actually are quite trendy with the jeans and shoes in many of them. Great casual inspiration – thanks Inge! Love everything! Especially the booties and silver Gucci mules! Suzanne’s style is fabulous and looks great on younger and more mature women . Her ability to pop great shoes with classic tops and add textures with jewelry and scarves is magical . I want to look like her !! I love the jeans with the white bottoms – so cool! Those dip dyed jeans are so great. I need them! I love her style! I went to her blog to check out the pieces on the outfit with the yellow top. The bag is beautiful, but she didn’t identify it. I will have to keep an eye on her blog for inspiration. Wonderful outfits and very inspiring – her jeans are fun and varied and her styling is perfect. Lovely to see someone unapologetically loving jeans and styling them so well. Another jeans lover! She has great styling ideas. Beautiful outfits. Not sure I could pick a favourite. Great post like her out there style. I like the last with the black jeans. Suzanne’s style is fabulous and something to really inspire me! I love the sophisticated casualness of her outfits. I love jeans and booties/fun shoes and this makes me want to get some new combinations going! What fun outfits! Makes me wish I could wear jeans every day. Ditto what others said – many of the outfits seem to be quite trendy to me also. I also really like the color she infuses with her denim. That blue coat has me swooning. Love the pairings and how accessories amp up denim looks. 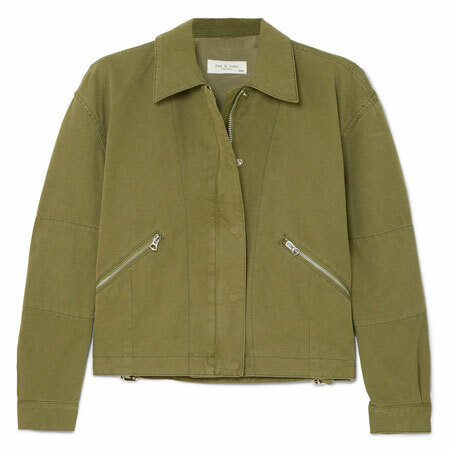 Suzanne is a study in refined casual; it’s where aspire to spend most of my time. Thanks for sharing! I love Suzanne’s style! My favorite outfit is the beige chunky sweater. I could NEVER wear it, but it’s so fun! I’m 55 also, jealous S can wear heels so easily. She had a very calm, confident look to her as well. Jussie – That’s so fun to hear! Chris – Yes! I can totally see you in Suzanne’s colour combos. Jane – *nodding*, Suzanne’s bag collection is on point. Janet – As a denim gal, Suzanne has tons of fun playing around with on-trend denim styles for sure. Suz – I think you should absolutely give a style like these jeans a go! Suzanne’s are Citizens of Humanity, and appear to have a 27.5 inch inseam. Joy & Dana – It’s such a good outfit, isn’t it. 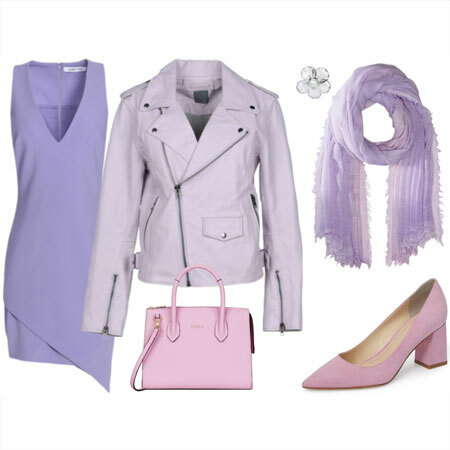 Bijou, Sarah, Eliza & Style Fan – Fab that you are feeling inspired. Firecracker – I’ll see if I can find out where Suzanne found the bag. Ledonna & Cardiff girl – Agreed! Unfrumped, Kim, Robin, marija, texstyle, Marilyn, torontogirl, Rachylou, Bonnie, Linder – Thank you for chiming in. It is difficult enough to come up with one very special outfit, but with Suzanne looks as she can do it every time. My favorite is the blue coat and white booties. And the cocktail ring is very interesting. She seems to be wearing rings with all the outfits. Wish I could see them better. All of her jewelry is well selected. Love these! I have a hard time relating to most bloggers but something about Suzanne’s outfits appeal. She clearly dresses with joy and must have a warm spirit. I see she reuses pieces from her wardrobe, and there is a very genuine quality about her look. She has amazing accessories. I love her mix of very classic pieces with funky updated denim. She looks deceivingly tall! She know proportions and how to make them work to her advantage! There’s a lot to learn here! Thanks for sharing Suzanne’s Polished Casual looks! What beautiful polished yet casual outfits! I will check out her blog asap! Bridgie – Suzanne posts several pictures of each outfit on her blog, whe you click through you might be able to get a better look of her jewellery (and she regularly mentions sources too). Staysfit – Yes! Suzanne remixes clothing and accessories regularly, and I always find it extra helpful to see this. Karie – Have fun browsing! Hi! I just want to add that not only is Suzanne fashionable and always pulled together in the perfect outfit, she is also a genuinely warm, intelligent and sincere person. I follow both her blog and Instagram account where she shares fashion tips along with thoughts and advice from her unique perspective. I appreciate Suzanne’s willingness to speak from her heart about life and different experiences, not all of them sunny and bright. She is open and candid and reflects on what it means to be a mature woman trying to live authentically. Those are the qualities that make her even more attractive, in my opinion! Suzanne looks so stylish and beautiful!! I’ve got lots of ideas now on mixing and matching. Also loving all the different style of jeans. You rock, girl!! Inge, thank you. I am looking forward to reading her blog, also seeing her jewelry up close. Heidi Michelle – Thanks for chiming in, and yes!! I’ve only “known” Suzanne for a very short time, but that’s exactly how she comes across to me too. Laura – Fab that you’ve found new inspiration! Bridgie – Of course. Have fun browsing Suzanne’s blog! The outfit with the oversized sweater is really amazing! Cocolion – Agreed! And: I could totally see you rock it too!! Suzanne has impeccable style! I am a huge fan!!! Thank you for sharing! Thanks for chiming in, Cathy, so fun to hear from you! I hope you are doing well?